You must be of your state's legal smoking age and agree in entirety with these conditions to use or purchase any product listed on this site. *Consumers of eJuiceMonkeys products agree they will not hold eJuiceMonkeys liable for any harm resulting from the use of e-cigarettes. Under no circumstances will eJuiceMonkeys be held responsible or liable, directly or indirectly, for any loss or damage caused or alleged to have been caused in connection with the use of, or reliance on any product on this site. Customers and readers of content and links provided assume all responsibility for the application of any information provided or linked to on this website or provided by eJuiceMonkeys staff, verbal, written or otherwise. 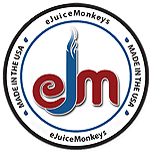 eJuiceMonkeys.com is not responsible for readers' or customers' health, safety or equipment, or any harm or damages that result from use or misuse. Consult a physician if you experience nicotine misuse symptoms such as nausea, vomiting, dizziness, diarrhea, weakness and rapid heartbeat. If you smoke or use tobacco products, you are encouraged to stop. Nicotine is addictive and habit forming. Nicotine is toxic if over-inhaled, comes in contact with the skin or if swallowed. Vapors may cause drowsiness or dizziness. Nicotine is toxic to aquatic organisms and may cause adverse effects in the aquatic environment. After any contact with skin, wash immediately with plenty of water and seek medical advice if adverse symptoms are evident. In case of an accident or ill symptoms, seek medical advice (show the label where possible). This material and its container must be disposed of in a safe way. Use appropriate containment to avoid environmental contamination. 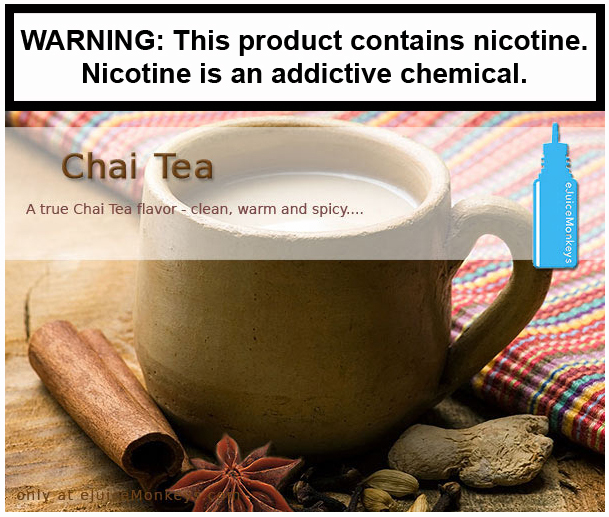 Warning to California residents regarding Proposition 65: This product contains nicotine and can be harmful. KEEP ALL DEVICES AND EJUICES OUT OF THE REACH OF CHILDREN AND PETS. Certain pieces can present choking hazards. Ingestion of, or contact with, non-vaporized eJuices, residue and cartridge contents are considered poisonous and may contain nicotine. Even small amounts of nicotine can be fatal to a small child or animal. The lethal dose for a 160 pound human can be a low as 40 milligrams. Beware of what you are handling. Example: A 10 milliliter size bottle of 11 milligram strength e-juice contains a total of 110 milligrams of nicotine. REFUND & RETURN POLICY: All parts of the electronic cigarette are considered disposable with limited life spans, and will need replacement. The life span of any individual part depends on many factors, and therefore is not always predictable. IN GENERAL, batteries can be expected to last several months (often more), and atomizers can be expected to last several weeks, though with minimal care, they will likely last twice that. Please remember e-cigarettes are electronics with circuitry, heating elements and microchips, and thereby MUST BE TREATED WITH CARE. Dropping (or severe jarring), careless handling and failure to read and follow guidelines received with product or online are primary causes of equipment failures. • Standard Resistance Atomizers have a maximum 14-day store replacement policy. • Cartomizers & Low Resistant Atomizers have DOA (dead on arrival) store replacement policy only. We understand there are circumstances that warrant replacement, and that equipment can be defective, and ask that you contact us immediately if you believe this to be the case and we will do everything we can to meet your needs. We reserve the right to refuse a return/exchange if the cause is determined to be user error or negligence; in cases of habitual, unwarranted returns; returning products found to be from an older purchase, or attempting to return non-eJuiceMonkeys purchase. *We cannot accept returns or exchanges on any e-Juices or cartridges irrespective of whether or not they have been used or opened. 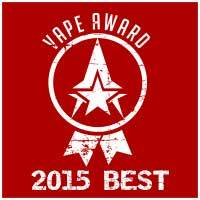 If you are unhappy with an e-Juice you order, again, please contact us and we will work with you. IMPORTANT NOTE ON BATTERIES: DO NOT DISASSEMBLE batteries as they can explode! Li-ion e-cigarette batteries may not be disposed in standard household waste. Please properly dispose of used batteries in accordance to your community's regulations. Because many recycling personnel may not recognize e-cigarette batteries as Li-ion batteries, please label or mark your used batteries as "Li-ion Batt" before disposing it in battery collector boxes. We provide products only to adults of legal smoking age. Payments generated from student payment accounts will be rejected and purchases will be canceled. If we have any reason to believe a purchase is being made by a minor, or for a minor, we will cancel the purchase immediately. We reserve the right, and will take action to restrict IP addresses from accessing or purchasing from our site. eJuiceMonkeys statements and/or products sold are not intended to diagnose, treat, cure, or prevent any condition, disorder, disease or physical or mental conditions and should never be used as a substitute for your physician’s advice. eJuiceMonkeys in no way endorses the e-cigarette as a smoking cessation device or one that delivers health benefits. No product or statement made anywhere on this site has been evaluated by the US Food and Drug Administration unless otherwise noted. understand and are in in complete agreement with all listed terms and conditions set forth. If you have any concerns or questions about this agreement, do not place your order until those concerns have been addressed.